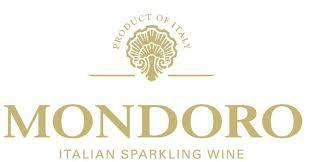 Mondoro is a super premium Asti, considered by many wine experts to be among the world's finest examples, having won more gold medals for taste and quality than any other Italian sparkling wine. The combination of the best grapes coupled with the most careful vinification process creates this outstanding sparkling wine. Mondoro's unique bottle and premium packaging reinforce its exceptional quality. Produced entirely from white muscat (moscato) grapes grown in the strictly delineated Asti region of northern Italy, the wine has a delicately sweet character which makes it delightful and refreshing.